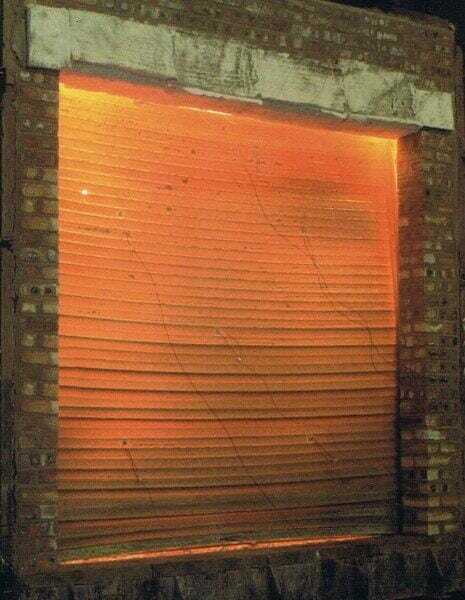 The Rollashield F Series of fire shutters offers a complete range of fire integrity and insulation protection. 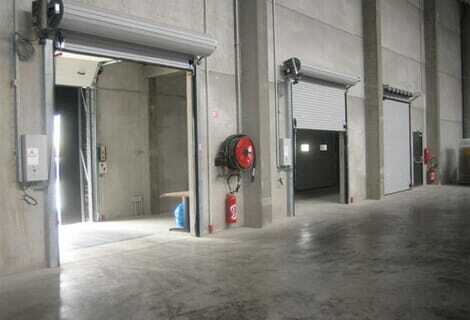 This is a heavy-duty fire shutter, the ideal choice for applications such as warehouses where maximum resistance is required. Rollashield FD is constructed from 75mm curved steel lath and is available in galvanised or a wide range of powdercoat colours. 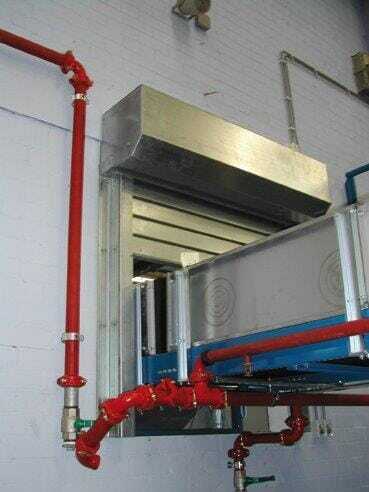 It can be manufactured to large sizes, tested up to 7000mm x 7000mm. 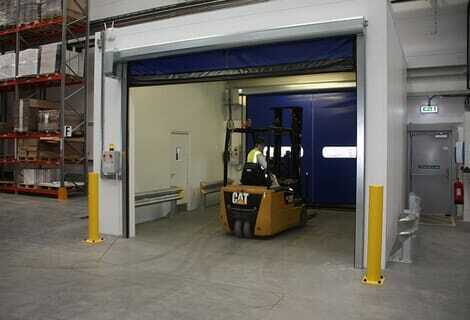 This fire shutter is equipped with a conventional fire door motor which can be either single or three phase and is available with a range of controls and methods of emergency operation, including fusible link, solenoid release and audio-visual door closing units. Rollashield FD has been successfully tested to provide 1, 2 or 4 hours of fire-integrity. 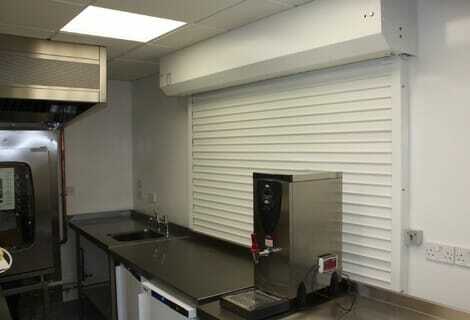 Rollashield FS is a neat, compact, tubular motor fire shutter, making it the ultimate choice for commercial applications such as receptions and serveries. The shutters are constructed from 50mm flat steel or 75mm curved steel lath and are available in either galvanised or a wide range of powdercoat colours. 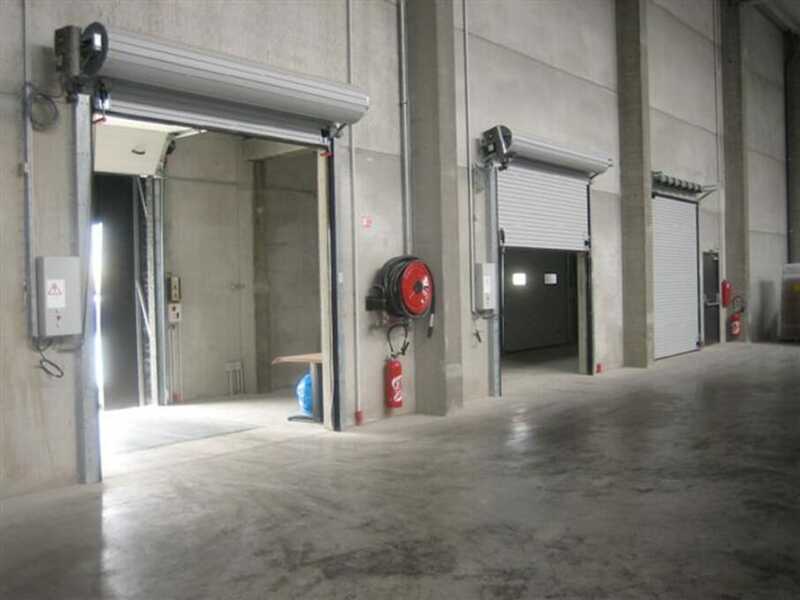 They are also available with a large choice of controls and methods of emergency operation, including fusible link or fire alarm interface, audio-visual door closing unit and UPS battery back-up. The FS has been successfully tested to provide either 1 or 2 hours of fire integrity. 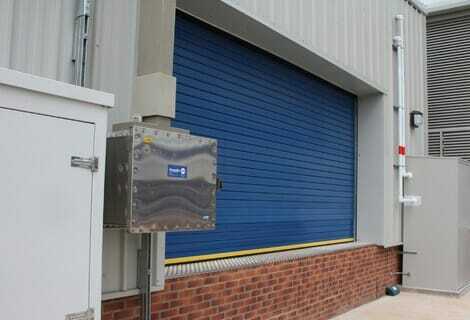 Rollashield FS is reliable, tried and tested fire shutter which also looks good and operates safely. Rollashield FD100 is designed to offer a high quality, strong and efficient fire-protection solution with thermal and radiant heat performance. 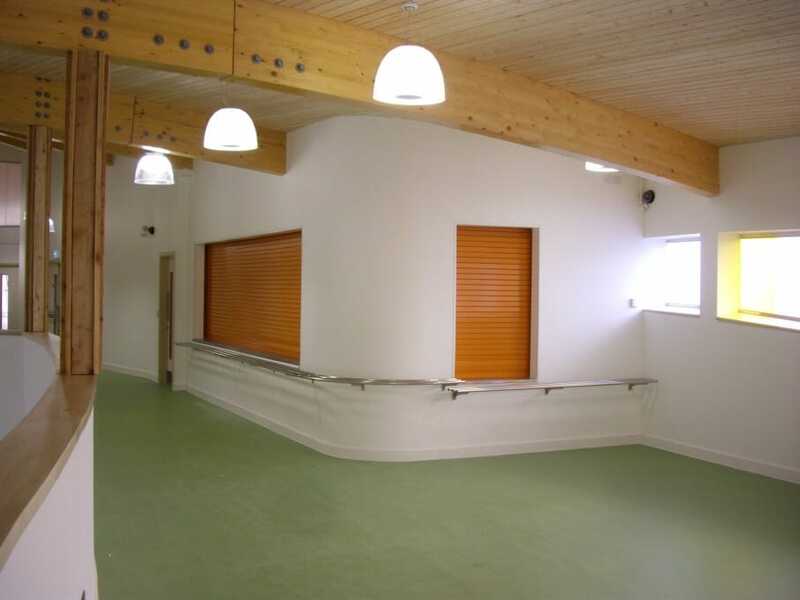 The roller shutter is constructed with a double-walled steel profile which is filled with insulation to provide thermal performance as well as fire-resistance. Rollashield FD1000 is a high-performance insulated fire shutter performing to EN1634-1 to provide both fire integrity and insulation (EI60). Fire insulation is important in areas where there is an escape route past the door or high value or flammable stock are close by. The product is constructed with a double-walled insulated slat which provides thermal insulation.